As is clear from the title, this is the second part in this amusing and informative account of the author’s experiences during her unwitting ownership and running of a riding school in Africa. Note 1: Details of where Book 1 may be obtained will be found at the end of this review. Note 2! : The author has stated this – Book 2 – will only ever be available to her newsletter subscribers. Further information is provided at the end of this review. Anyone who has read any of Lucinda E Clarke’s books will appreciate she is an excellent writer and conveys information, both factual and fictional, in a very readable style. This book is no exception. The style is light, easy and well paced, even the sadder moments are conveyed in a none too stressful manner. It is also evident the book has been efficiently edited. The characters, young and old, and their antics (including those of the horses involved) are graphically conveyed in a manner easy to imagine. Readers will find themselves empathising with the stress, the worry, the fear, the tears but will also find themselves laughing out loud. The author has an excellent sense of humour which is accompanied by an instinctive self-depreciation. The latter is not always appropriate as this remarkable women has proven time and again how able she is and how she has made a success of many differing careers and circumstances. This memoir (Books 1 and 2 combined) is the account of how the author unexpectedly found herself responsible for running a riding school when she had no experience or knowledge of riding, no capital, no insurance and was, initially at least, frightened of horses. Add to this the fact her first horses where less than healthy and the reader will have an idea of how incongruous the whole idea of this ‘adventure’ was. As with Book 1, this is a short book, though longer than the first. Nevertheless, there is much within, all of which is interesting, informative and entertaining. Not only is the reader given an insight into horses, their mannerisms, ways and idiosyncrasies, but also into what is required to effectively look after them, especially the ragbag collection the author ‘inherited’. The reader is also presented with accounts of the resilience, abilities and confidence of young, very young, people and how these ‘attributes’ could sometimes undermine the author’s plans and instructor status. It should be born in mind, the riding school was, technically at least, just a part time occupation for the author who was a valid school teacher, to the same children, in the mornings. There are also descriptions of native African life, culture and values which in themselves are very informative and interesting. It is hard with any short book not to give too much away; not to spoil it for potential readers. With one exception, what has been shared above is sufficient to give some idea of what is encompassed within this memoir. The exception: Those who have read the author’s memoir ‘Walking over Eggshells’ will know, besides the riding school, there was a lot more going on in the author’s personal, family life. This is only briefly referred to, wisely considering the intent for this riding school memoir. However, though not a necessity, it is suggested to have also read ‘Walking over Eggshells’ would enhance the reader’s appreciation of how much the author really had to contend with. It would enable them to understand more fully what a remarkable women Lucinda E Clarke is. As stated, this book is only available to Lucinda E Clarke’s newsletter subscribers. A newsletter in which the author shares a variety of interesting and entertaining articles. Signup Form. 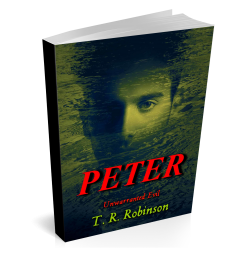 Digital (e-book) edition: Once confirmed a subscriber a digital edition of Book 2 may be downloaded for free. Paperback edition (Comprises both parts (Books 1 and 2)): For those who would prefer a paperback edition: The author will be running a number of competitions (only through her newsletter) throughout the year. The paperback will only be available to winners. Newsletter Signup Form. Websites – Why? How? What? I absolutely loved Book 1 and still need to read this one. I would love to have a paperback of the whole story! As mentioned Val, Lucinda will be running a number of competitions enabling winners to receive a paperback edition of the whole book (Lucinda has stated it will never be on sale). Hope you are one of the successful winners. I read a digital edition of both and, though I also enjoy physical books, have to say it did not detract from the read; Lucinda is just such a great writer. Have to admit, a few years ago I would have bulked at the suggestion of reading digitally. Before I do my first post of 2018, here’s a review of Lucinda Clarke’s delightful book about her ‘very worst riding school in the world’!